Wat is dit voor site? Wij zoeken de goedkoopste boeken op internet. Profit-driven maintenance for physical assetsvonden we het goedkoopst op Bol.com voor €73.45. We hebben gezocht in nieuwe en tweedehands boeken. Rechtsonderaan de pagina kan je het boek direct bestellen	via Bol	.com. In so many company boardrooms the term 'maintenance' often gives those in senior management an uneasy feeling. Why should this be the case? The main reason may be due to the fundamental way that they think about business. They generally think, speak and discuss opportunities, profits, risks, new markets, added value and costs for their business. Meanwhile, the maintenance manager generally focuses on techniques, failures, technical problems and workforce schemes, rather than purely costs and benefits. Maintenance costs are seen as penalties from 'on high', whilst maintenance as a function is not seen as an opportunity for business improvement, nor for creating added value. Profit-Driven Maintenance for Physical Assets aims to fill the large gap between these two worlds. In this updated edition, Tim Zaal treats the maintenance function as a purely business-driven process to fulfill the company's main goals, and address the challenges of organizing the maintenance activities in the most profitable way for the asset owner. A number of methods are available for maintenance management improvement, including Asset Management, ISO55000, TPM, RCM, WCM, FMECA, Lean, and CMMS. With the developed 'House of Excellent Maintenance', each maintenance organization is able to benchmark operational competences and readiness for adopting new ideas. 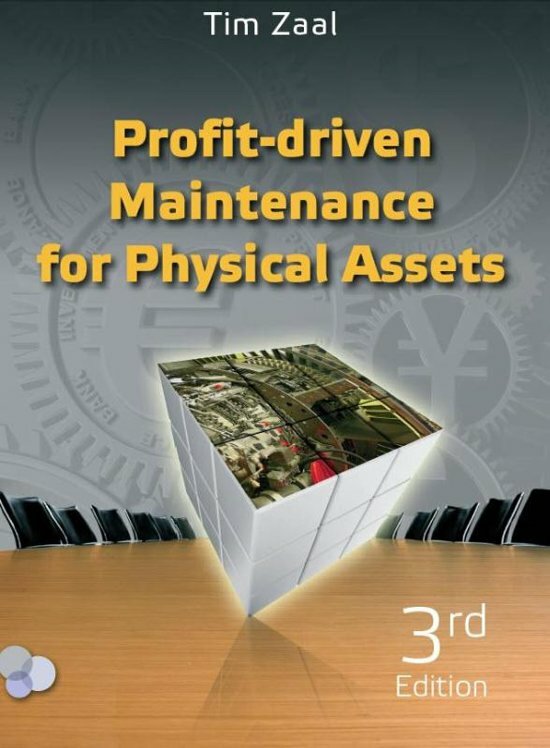 Profit-Driven Maintenance for Physical Assets provides the reader with an overview of how all of these methods can improve the maintenance function, and how to maximize the opportunities to utilize them. The maintenance organization and the competencies of the people involved are also important features of this book. For maintenance managers, output improvement and operational excellence are high on the agenda. It is important that the maintenance function not only covers the technical aspects of physical assets, but that there is also a thorough understanding of the business methods for thinking about assets. We refer to this as 'Technomics'. This approach enables communication with senior management to take place on the basis of established business terminology, such as profit, added value and profitability. Profit-Driven Maintenance for Physical Assets is essential reading for anyone with an interest in how maintenance can be viewed as a business-driven process, whether the readers are operational managers, maintenance managers, maintenance engineers, reliability engineers, top managers, senior (financial) staff members, manufacturers of equipment, or service organizations. Profit-Driven Maintenance for Physical Assets is also a valuable resource for postgraduate students on maintenance and business engineering courses. 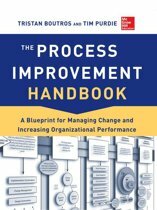 This book is a must-read for everybody who deals with the maintenance function of their organization.